The President of the United States gathered together on April 2 “some of the smartest people in the country, some of the most imaginative and effective researchers in the country,” he said, to hear him announce a broad and collaborative research initiative designed to revolutionize our understanding of the brain. 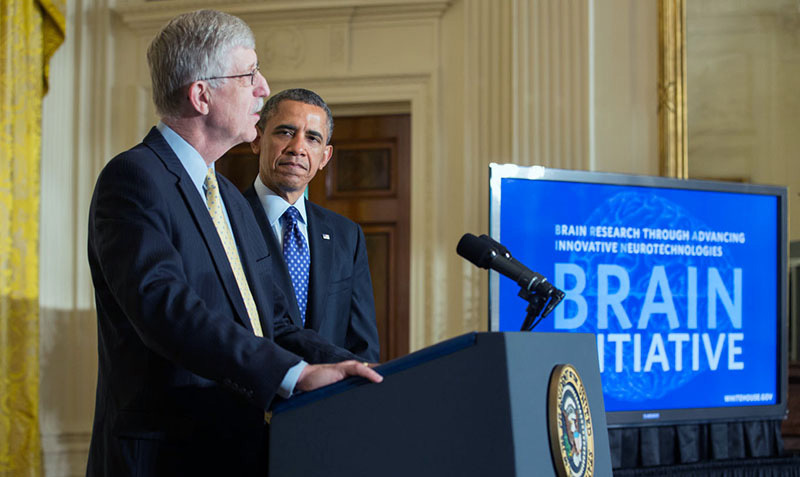 The BRAIN Initiative, short for Brain Research through Advancing Innovative Neurotechnologies, is launching with approximately $100 million in proposed funding in the president’s Fiscal Year 2014 budget. It aims to advance the science and technologies needed to map and decipher brain activity. Sitting in the front row for the announcement were three University of California chancellors, including UC San Diego’s Pradeep K. Khosla. Chancellor Khosla was accompanied at the White House by Ralph Greenspan, associate director of the Kavli Institute for Brain and Mind at UC San Diego (KIBM); Terry Sejnowski of the Salk Institute for Biological Studies and UC San Diego, director of campus’s Institute for Neural Computation; KIBM Director Nick Spitzer, distinguished professor of neurobiology in the Division of Biological Sciences, and Dr. Dilip V. Jeste, Estelle and Edgar Levi Chair in Aging, distinguished professor of psychiatry and neurosciences at UC San Diego School of Medicine, and director of the Stein Institute. Speaking from D.C., Chancellor Khosla said he was struck by the levels of energy and enthusiasm during the president’s speech and in the community afterwards. “The president’s initiative is charting the next frontier of science,” Khosla said, “and UC San Diego is poised and ready to help our country lead the way. 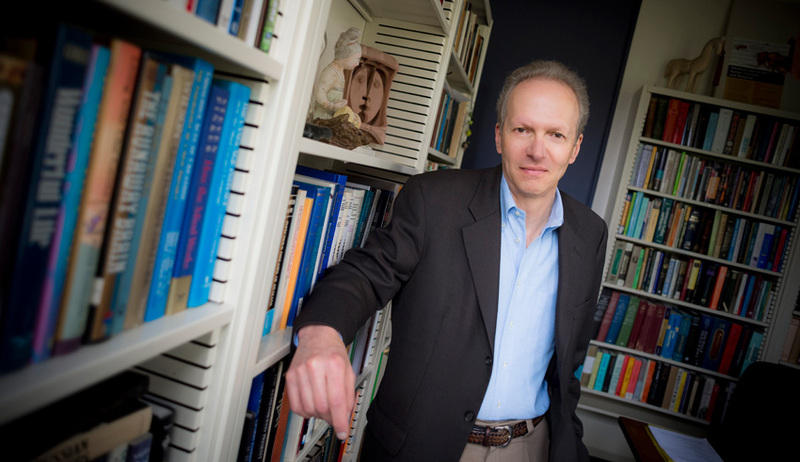 Neuroscience, biology, and cognitive science are among the premier areas of strength on our campus, and we are really excited to be part of the effort to gain a deep understanding of human beings and how we behave. The Kavli Foundation and the Kavli Institute for Brain and Mind, said KIBM’s Greenspan, played important roles in sparking the BRAIN Initiative. Also speaking from D.C., right after attending the White House announcement, Greenspan– who recalls “falling off his chair” when he heard the president reference brain mapping in his 2013 State of the Union Address and then recalls falling off again when the New York Times’ John Markoff broke the story in February, far ahead of the official announcement– said: “I still think it’s unbelievable it’s come to pass. It’s a miracle of the right idea of falling on fertile ground at the right time. In his speech, Obama stressed the importance of ideas and innovation to the U.S. economy and reminded the nation that it is critical to invest in basic research. Understanding the brain’s complex circuits of neurons, and the behaviors to which these give rise, he said, will eventually lead to treatments for brain disorders, such as Alzheimer’s or autism, but it will also result in applications we can’t even imagine yet. “Let’s get to work,” he said in closing.